Watching this six nations rugby You could be forgiven for thinking you were watching local fixtures in municipality parks! The Stade, Millennium, and Aviva Stadiums were in a word shocking. 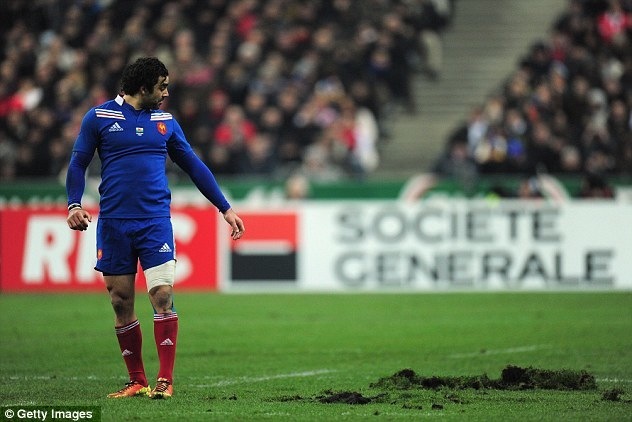 Watching the France v Wales game it was possible to see that the scrums were badly affected with the turf rolling up under traction. The Millennium Stadium would love to ditch the turf for a Saracens type 3G but pressures from the FA are a huge barrier here. Question is what if someone has a neck injury on these natural grass pitches - I would not want to be the referee or front row that day! Is it time to get grown up about this, modern stadia are difficult environments for natural grass. See attached link from BBC. "watch you don't trip on that mate" or "they have big moles here don't they?"